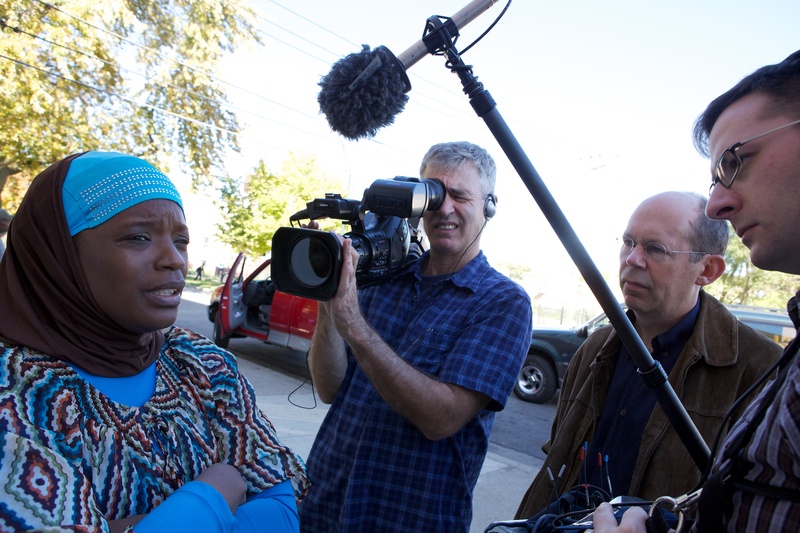 In 1994, when filmmaker Steve James was merely 29 years of age, he made the acclaimed documentary Hoop Dreams. Preeminent movie critic Roger Ebert loved the work and bestowed the documentary as his film of the year. But he didn’t stop there. Outraged at the lack of a Best Documentary nomination at the Oscars, he uncovered how the selection process worked. He ran an exposé on it in Entertainment Weekly. The result? A change in the rules that remains in place to this very day. Sadly, 2013 saw the life of Ebert draw to a close after losing a long battle with cancer. 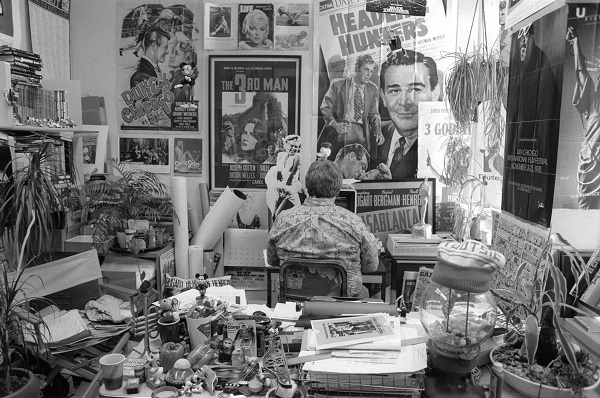 For the year leading up to his passing, James had been making a documentary on Ebert’s life based on his memoir, Life Itself. I spoke to Steve James about the shifting focus during the making of the film, his view on Robert’s achievements and the state of film criticism today. What was the trigger for you in making a film about Roger? I knew about Roger’s significance as a critic because I read him and he was so important to my career, but it was really the memoir and reading about his extraordinary life adventure, from his roots in a small college town in central Illinois to Chicago and everything that he accomplished; the adventures he had and, of course, the way in which he heroically dealt with the cancer in the last 7/8 years or so. All of that, to me, just said that this could be more than a movie about a film critic and his importance – which was a lot – because it is a life story about an extraordinary life. Were those two aspects the bridge for you in tackling the project? I just think that Roger’s life has something to say to all of us. Once I read the memoir, I kinda decided that I wanted it all (laughs). I really wanted to get my arms around his entire life. I wanted to get at what it was that made him significant. I definitely wanted that, because there would be no point in doing the film if you didn’t address that, but at the same time, I did not want that to overwhelm the story of his personal life. I didn’t think that would be that interesting to anybody other than someone who just wanted to read about film criticism. A lot of your background has been involved in making films about social issues and themes. This is more of a personal human story. How did your methods and approach differ with Life Itself? For me, it was a thrilling departure to do this film. Number one, it’s a biography, and I’ve not done a straight ahead biography of anyone in any of my films. Some of the films that I have done have definitely had biographical aspects to them, but not like this. I was also excited by what I knew from my own knowledge going in and also from reading the memoir; that Roger had had such an entertaining life and had such entertaining and interesting people in his life too. I was really excited about doing a film that would aim to be quite unapologetically entertaining and funny. Even though I think that there is a lot of humour in the films I’ve done, including Hoop Dreams and The Interrupters – even though they are about very serious subjects – this film had the possibility of being more purely entertaining. I loved the idea of embracing that challenge and seeing if I could pull it off. At the same time, I didn’t want to give short shrift to Roger’s struggles with illness. When I set out to do the film, I certainly wasn’t expecting to film him in so much distress or that his health was going to be in such a precipitous decline. That was not part of the plan. When that became a reality, I felt as though that had to be a bigger part of what this movie was about. How did this affect your intentions? I really, truly believe that whatever idea you start out with for a film, the film you make is what happened. I strongly believe that you don’t shoehorn what you film into some sort of preconceived notion of what the film should be. You play the hand that’s dealt (to) you. That’s why I think that part of the film (his illness) is a more significant part than what I anticipated going in, and for some people, it’s too much. For some people, they’ve said, ‘I think you’ve spent too much time on his illness.’ I understand that criticism. I don’t agree with it, personally. I knew it would come, but, to me, the way he coped with the illness has so much to say about who he was, the way he lived his life and about his relationship with Chaz (Ebert’s wife), that I just felt that this has to be a significant part of what this film is about. You were brave in showing aspects of an illness that we’re not used to seeing. For example, the suction section was a tough watch. What were the hardest editorial decisions that you had to make? That was one of them. How much of the film should be devoted to what we were capturing – which was a lot of medical-related stuff. That was one hard decision. I think another one was what parts of Roger’s life to really focus on and which parts to focus less on. In his memoir, he spends the first 130-odd pages on growing up in Champaign (a city in Illinois), before he gets to Chicago. There’s clearly a lot there, but for me, I think Roger’s life starts, for this film, once he gets to Chicago. I wanted to make sure I captured his life prior to that and pull out some significant things about it – and even return to it – but I was pretty determined from the get-go that it would be a much smaller part of the film, because I didn’t want to make a miniseries. I didn’t want to make a 3 hour documentary. I’ve done that. I wanted it to be feature length. I figured that it would be around 2 hours, so I wanted to cover other things in much more detail. 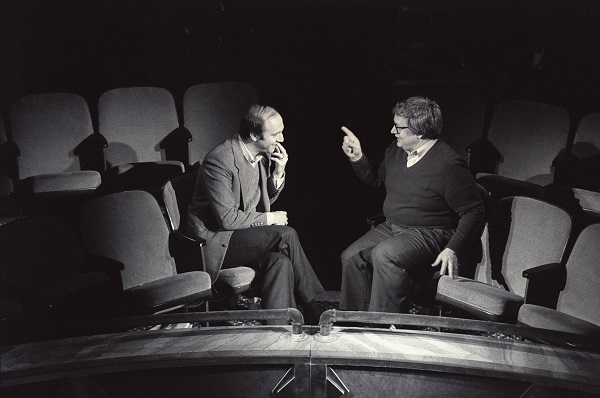 Another big editorial decision, which wasn’t particularly hard for me, because I just knew that I was fascinated by it, was that I wanted to make the relationship with Gene Siskel and the show a significant centrepiece of the film. In the memoir, he does not talk much about either. In part, I think it’s because he didn’t want to be perceived as bragging about the show. I also think that he didn’t want to remember much of the conflict with Gene. I think he wanted to remember Gene the way he remembered him when he died, rather than when they were first at each other’s throats. I wanted that in the movie. Do you think we’ll see the like of Roger Ebert again? I don’t. You never want to say never, because, who knows? That said; I think it’s highly unlikely that we’ll see anyone like Roger ever again. Especially when you include his impact. I think that the culture has changed. I have thought that if the right two people came along – and it might be more of a podcast and a TV show – with the right combination of personalities and insights that something like the show could succeed again. But it would not succeed on the level that their show did. Their show was on 350 stations in America at its height, and I don’t see that happening again, just as when I was a kid, because there were so few networks, a decent show would be (classed as) an astronomical hit nowadays in terms of the audience share. The world has changed and become more fragmented. Our attention has become more fragmented. I don’t think we’ll probably see another Roger again. In the age of the internet, where everyone has a voice, do you feel that the term ‘critic’ should be retired? Do you feel that there is a future for the film critic? No, I don’t think ‘critic’ is a term that should be retired. It’s interesting, because Roger very much defended internet criticism. In fact, I didn’t know this when I made the film or I would have put it in, but he was instrumental in getting the studios here in the States to allow internet-only film critics into screenings. There was a time when they were saying, ‘they’re not real film critics, they’re not invited’, and Roger went to bat for them. He said, ‘they are film critics’. I think he saw something that was very, very important. It may seem obvious now, but maybe wasn’t so much then, and that is that the viability of film culture; the dialogue that needs to go on in film culture is really internet-bound now. It’s not happening in the press. It’s not happening in published magazines. Quite frankly, there’s not enough, in my view, debate and discussion about significant films that come out year in and year out from the traditional gate keepers. A film like the Act of Killing, which came out last year… I’ve had far more interesting conversations with fellow filmmakers about that film than anything I have seen in print. I think it’s because critics look at so many films these days. They watch a film and then they move on. They don’t really take the time to spend with a film to think about its larger implications and then engage in a real dialogue about that. I think that the only place that that really does happen at all – and it still doesn’t happen enough, in my view – is on the internet. I think that whilst the internet has certainly made it possible for anybody to call themselves a film critic, no matter what their insights are, it has also made it possible for some voices that we need to hear to be heard. It’s a mixed bag. It’s like anything. You probably look at a lot of movies a year. I mean, how many of them would you call ‘good movies’? I think it’s the same with film criticism. Maybe there’s just more now, because there’s more criticism out there than ever, but there is a lot that is dispensable, just like there’s a lot of films that are dispensable, but some of those voices, where would they go otherwise and how would they emerge if not for the internet? It’s interesting you say that. I’ve been having this conversation a lot recently about the pressure not just to see a huge volume of films, but to get there first with your response. There is a pressure to be ‘first’. I think you make a good point. It’s like when major festivals roll around, people take real pride in being the first one out there with a substantial review of the new Lars Von Trier or Terrence Malick film. I think that really does a huge disservice to film criticism and to film. You know, films take every bit as much time as they’ve always taken to make! As a filmmaker, what gets dispiriting sometimes, even if it’s a positive review, although it’s less dispiriting when it’s a positive review (laughs), is that you spend all this time making this film and you put so much into them. You feel like you really craft them. You really work on them until they really work for you, and then you see a one paragraph review of them. You feel as though the person spent the running time of the film watching it and about ten minutes afterwards writing about it and then that’s that, they’re onto the next thing. That is dispiriting. Especially when a film has so much to offer. It should be worth more than that. I do also understand that when you’re a film critic, you’re up against it. You have all these films a week to churn out and, if you’re a freelancer who is getting paid by word count, they don’t want you to write too much. They want you to boil it down. There are a lot of things at work here! Has your personal relationship with film criticism changed over the years? I started out being, and it would be disingenuous to say that this has changed hugely and dramatically, but I started out thinking that every film critic was, somehow, a genius. That whatever their opinion of my film, it had to be right, so if they really loved it, I felt great. If they hated it, then I felt as though I’d failed. It didn’t matter if I got 9 positive reviews and only 1 negative one, I remembered that negative one, because, obviously, they were smartest because they saw that the film failed! And I think that’s true of a lot of filmmakers. I can almost quote whole passages from negatives reviews of movies I’ve made, even if they’ve been in the distinct minority. Then, over the years, I’ve come to realise that film critics are just people who love movies. Some are smarter than others and even some of the really smart ones have their blind spots. If you read them with any regularity, you start to see where their biases lie and their shortcomings as critics, just as they are happy to point out your shortcomings as filmmakers. Sometimes, a critic can be really ‘on it’ with one review and then you read something else and you go, ‘they really missed it there’. One time, a reader wrote to Roger and said, ‘I used to agree with you a lot more than I do now’. It was kinda like ‘what’s happened to you?’ Roger wrote back and said, ‘Well if you always agree with me, then there’d be no point in reading me’. I thought that was a great comment! It’s absolutely true. I remember when I first got involved with film, I used to read Pauline Kael. When she loved a movie that I loved, there was nothing more thrilling than reading her, because it was like ‘me and Pauline Kael!’, but I really learned something from reading about movies that she and I disagreed on, because it made me really think about the film. I might not end up agreeing with her, but it made me think about it and I think the point of film criticism, ultimately, and Roger knew this, isn’t about the end of the review, where you’re essentially saying go see this movie or don’t see this movie. The point of film criticism is to make you think. And to make you think critically about what you watched. Life Itself is released on DVD on 23rd February 2015. You can purchase a copy here. This entry was posted on 23/02/2015 by toomuchnoiseblog in Front Page and tagged critics, DVD, Greg Wetherall, hoop dreams, Interview, life itself, movie, movies, news, oscars, Release, roger ebert, steve james, the interrupters.